President Kay and the Board For International Missions | "Northern Crossings"
The Lutheran Women’s Missionary League exists to support Missions in the Lutheran Church Missouri Synod and to strengthen women in their faith and knowledge of Christ as Lord. President Kay Kreklau take that mission very seriously. The Board fro International Missions exists to do the same. At the latest Board meeting in St. Louis President of Synod Matthew Harrison presented Kay with a large poster with a certificate of appreciation and messages from staff and Board members. She seems to appreciate it. 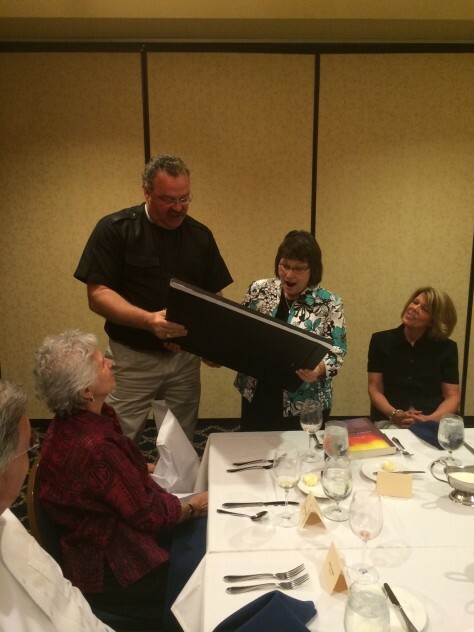 Her work has been appreciated and Kay finishes her term this summer at the LWML convention in Des Moines. NextEdna Sangrait R+I+P – I’ll Fly Away.